Sign up to our 2019 UCAT Course (formerly known as UKCAT Course) before May 1st and get a 10% early bird discount. Book now for just £157.50! In 2019, UKCAT was renamed UCAT – you can read more about the UKCAT to UCAT changeover here. However, the exam content will remain the same. And we’re still leading the way for prep, revision and support! Join the world’s top schools and thousands of like-minded students. Place your trust in an official Royal Society of Medicine partner. Secure your UCAT Course place today. Already booked a course? See our Course Venues, Dates and Times page. Applying to Australia or New Zealand? Check out our new UCAT ANZ courses. Looking to book multiple UCAT preparation products in one go? Try our UCAT Bundles 2019. Why do so many students, parents and teachers trust The Medic Portal to help them achieve a high-ranking UCAT score? In short: because students love the course and get great outcomes from our strategies. 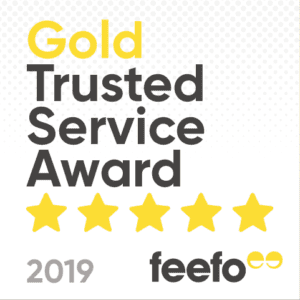 TMP has hundreds of independent five-star reviews on Feefo. In 2018, our course content and doctor-trained tutors both received exceptional feedback. Every school who answered our 2018 survey believed The Medic Portal boosted their students’ UCAT scores. 60+ unfiltered, individual course attendees shared their actual 2018 UKCAT scores. These showed an overall average of 2,737, which is well above the national average of 2,485. Respondents outperformed the national average in every section. Still wondering why you should go with us? Check out our Why TMP? page to see even more things that make us different. The Medic Portal is trusted to teach UCAT to a large number of the UK’s top-ranked independent schools, IB schools, state schools, academy chains and Trusts. We deliver our courses in-house for Eton, Cheltenham Ladies’ College and The Girls’ Day School Trust – to name just a few. By booking with The Medic Portal, you’re getting the same preparation and revision that’s been vetted and used repeatedly by leading educational institutions. What Does the 2019 UCAT Course Include? Our doctor-led academic team ensures that our UCAT courses are 100% up to date -and the content has been fully revamped for 2019. The following timetable is indicative and may change in order to ensure the course is as responsive as possible to exam updates. Our London UCAT Courses are extremely popular, so we’ve added more dates every year. They will run throughout the entire season, from the start of June until the end of September 2019. London UCAT Courses are usually held in our own Waterloo classroom, just five minutes from the station and next door to the London Eye. So, whether you’re travelling from the city or further afield, our course is easy to get to. Book a UCAT Course in London now! Our UCAT Courses in Birmingham are held in a central location (in previous years we have run our UCAT Course at BVSC, for example), with easy access from the station. Courses are held in June, July, August and September. Find a UCAT Course in Birmingham now! This year we are running a number of UCAT Courses in Leeds in July and August. Book a UCAT Course in Leeds now! Our UCAT Course in Manchester span the UCAT testing season – so no matter when you are looking to sit your exam, you can find a date to suit you. Find a UCAT Course in Manchester now! Looking for a Different UCAT (UKCAT) Course Location? As well as across the UK, we are running our UCAT (UKCAT) Courses internationally in Dubai, Hong Kong and Singapore. If you qualify for extra time, we’ve got specialist UCATSEN Courses. The UCAT Consortium advise that students who are entitled to additional time in public exams (based on a medical diagnosis or report from a specialist teacher) should book the UCATSEN version of the exam, which is 25% longer. They state that this is likely to apply to candidates with dyslexia, dyspraxia, dysgraphia, dysorthographia, attention deficit disorder or working memory deficit. This may also apply to a range of other medical conditions. The Medic Portal’s UCAT Courses: What Do Other People Say? Want to read more? See our Testimonials or Independent Reviews of The Medic Portal. Learn wherever and whenever with our innovative Online UCAT Course! Get 20 hours of expert video tutorials to learn expert strategies for each section of the UCAT. Get started with free UCAT questions! Read our free guide to each section of the UCAT, plus expert preparation tips. Want expert UCAT tutoring? Try bespoke one-to-one sessions with our specialist tutors and improve your performance in any section! Are you a teacher thinking of booking a UCAT Course? We can run in-house UCAT Courses at your school - get in touch with us to find out more!